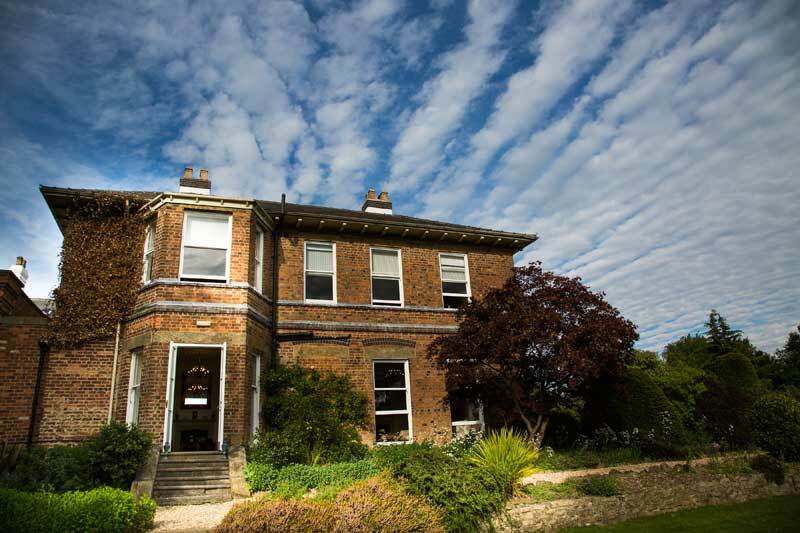 Shottle Hall is a classic Victorian country house that blends traditional period features with contemporary design. Nestled on the edge of the Peak District National Park and set in beautiful mature gardens. The Hall boasts commanding views over the Ecclesbourne Valley. With its own bar, cosy library, sumptuous lounge, and the stunning Orangery Restaurant; your guests will be wowed and delighted on your wedding day. Whether you are looking for a small intimate celebration or a more lavish affair we can cater for wedding parties between 16-90 guests for a sit down wedding breakfast and up to a maximum of 150 guests for an evening reception. The Hall is fully licensed for civil ceremonies and couples can host their ceremony in our beautiful lounge with up to a maximum of 90 people. While its stunning views and photogenic grounds are well documented, Shottle Hall itself has an interior which blends old and new seamlessly. Quintessentially English, the hall was built in 1861 and many of the original features of this Victorian country house remain to this day. But a multi-million pound refurbishment in 2005 saw the period architecture and elegant proportions of the rooms complemented with a fusion of antique and contemporary furnishings. Renowned interior designer Adam Walkden ensured the stylish blend of traditional elegance and contemporary design worked beautifully. His most inspirational innovation was perhaps the ceiling of the Orangery Restaurant with its hand-painted cherubs in their celestial sky-scape, finished off by 1,200 tiny lights designed to look like stars. And no country house would be complete without a hidden door, its edges submerged in the rows of book spines, leading out into the hallway. Each of the eight individually-designed bedrooms are sumptuous and stylish with a country chic décor. 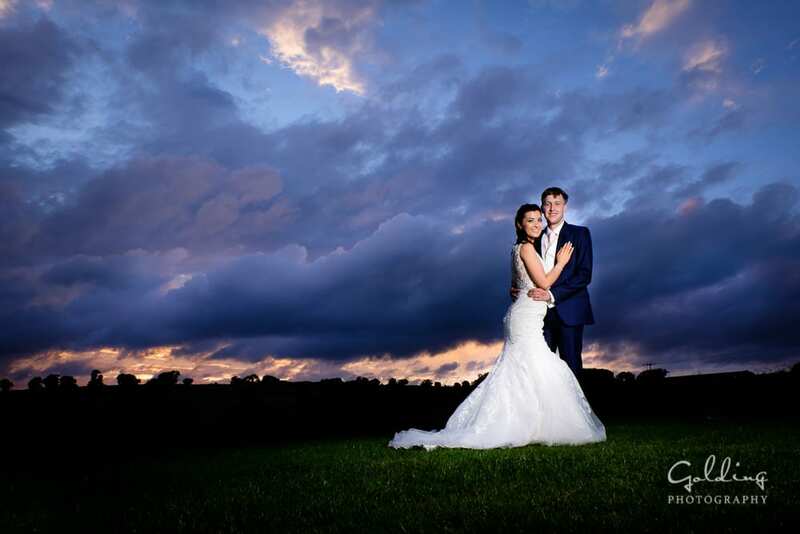 Shottle Hall has become the perfect venue for your perfect day – whether you are planning a wedding or a special celebration. We’d love to show round. The traditionally-styled lounge with open log fires and large sash windows, overlooks the side lawn and is the ideal reception room whatever the weather. You can sit back and relax on the comfy sofas and enjoy a Shottle Hall afternoon tea whilst enjoying the stunning views over the Derbyshire countryside. This elegant room is licensed for civil wedding ceremonies and is the perfect setting for your special day. 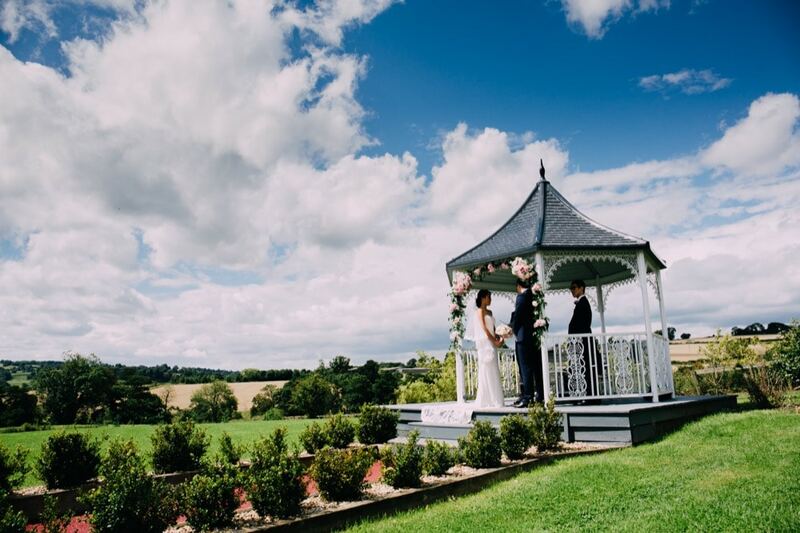 Many couples have chosen to get married at our beautiful venue and we hope many more looking for the perfect Derbyshire wedding venue will do the same. The spectacular Orangery Restaurant with its starlit ceiling, full length windows and Baby Grand Piano (that can even play itself), offers an extra special dinning experience whatever the occasion. From Sunday lunches, family celebrations and, of course, wedding breakfasts, the Orangery adds a truly impressive feel to this venue. The stunning Derbyshire countryside is a fantastic backdrop to this beautiful room and in the summer the patio doors can be opened up onto the decked terraced area. This room is extremely versatile and when the sun goes down the room can be transformed for evening entertainment and our very own stylish black & white dance floor allows you to dance the night away, quite literally, under the stars. The Library and Gallery bar are ideal places to greet your guests and enjoy a drink from our selection of wines, beers, spirits and cocktails. The cosy traditional surroundings of the library – with its secret door – blend perfectly with the contemporary design of the Gallery Bar and these reception rooms are a great place for your guests to mingle. The library is also a favourite for wedding photography and many newlyweds have their photograph taken sat on our double seated Queen Anne red leather Chesterfield chair. The library and Gallery Bar can also be used for laidback evenings, smaller private dinning and business meetings, making Shottle Hall a very unique Derbyshire venue. Devonshire Dinning Room Our sumptuous private dinning room can cater for smaller wedding parties, family celebrations and more intimate dinning experiences, as well as business meetings and seminars. With one large banqueting table, or smaller round tables, this room also doubles up as a breakfast room during your overnight stay or for your family breakfast the day after your wedding at Shottle Hall.